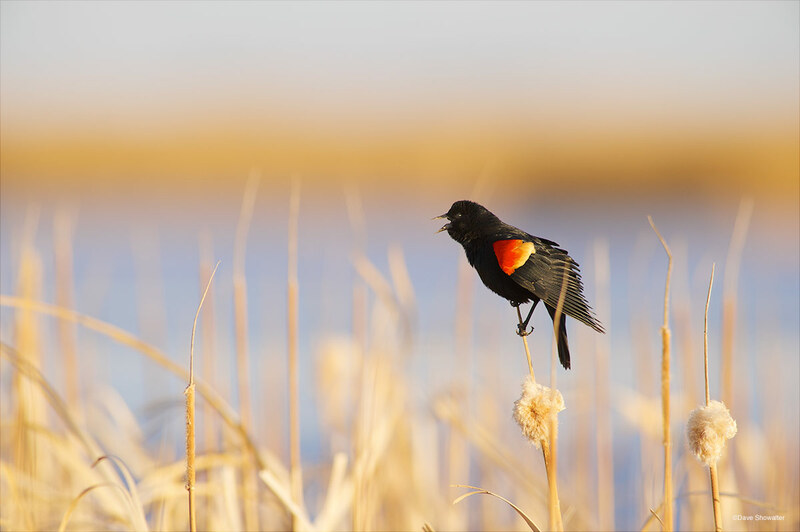 A red-winged blackbird male sings from his cattail perch in Monte Vista National Wildlife Refuge. Agelaius phoeniceus. Photo © copyright by Dave Showalter.